From left, Ann Hanley’s husband David; Dr. Craig van Horne; Ann Hanley; and Keeneland President and CEO Bill Thomason; and UK Healthcare’s Dr. Greg Gerhardt. A Kentucky thoroughbred racing organisation has donated $25,000 to help fund research into an experimental treatment system for Parkinson’s Disease. The Keeneland Association made the donation in honor of Ann Hanley, wife of WinStar Farm General Manager David Hanley. Hanley, who was diagnosed with Parkinson’s at the age of 49, founded the Ann Hanley Parkinson’s Research Fund in 2016 to underwrite research into an experimental treatment available only at the University of Kentucky. 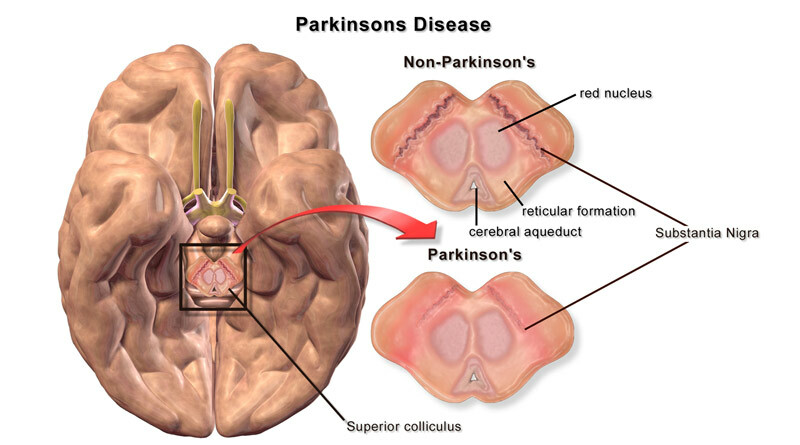 Nearly one million people in the US are living with Parkinson’s disease, a degenerative illness that damages and eventually destroys neurons in the brain, causing muscle rigidity and tremors, difficulty moving, unstable posture and ultimately death. There is no known cause and no cure. UK HealthCare’s Dr Craig van Horne is testing a treatment designed to improve symptoms of the disease, such as tremors and stiffness. Called DBSplus, the treatment — in its early stages of testing — transplants a small piece of a patient’s own nerve tissue into the brain. The grafted nerve tissue is being tested for its ability to repair cells in the brain and improve motor function. Because the treatment doesn’t involve a drug or a medical device, there is no industry funding for the s research. Hanley, both a patient of van Horne’s and a liaison to other Parkinson’s patients at UK HealthCare’s Kentucky Neuroscience Institute, was determined to find the money to help van Horne continue his studies. Bill Thomason, President and CEO of the Keeneland Association said the organisation had devoted itself to serving the horse industry and the community for 80 years.